Have questions about this product (ID: 2330)? 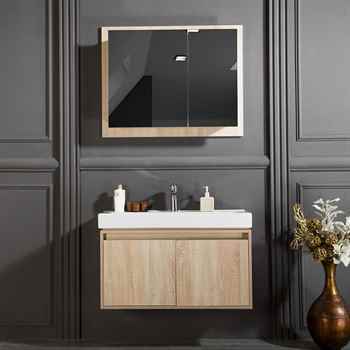 Brick 35” Oak Bathroom Cabinet is one of the most elegant wall mount bathroom vanities. 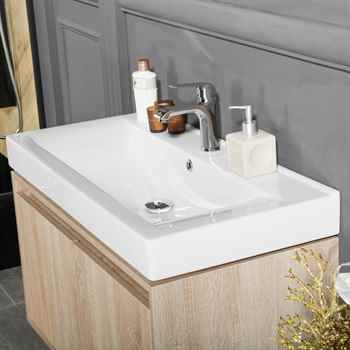 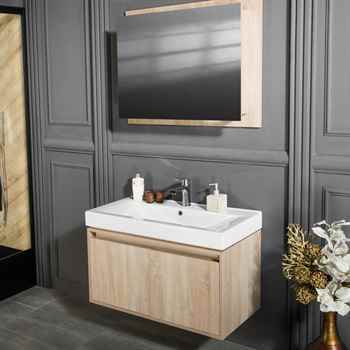 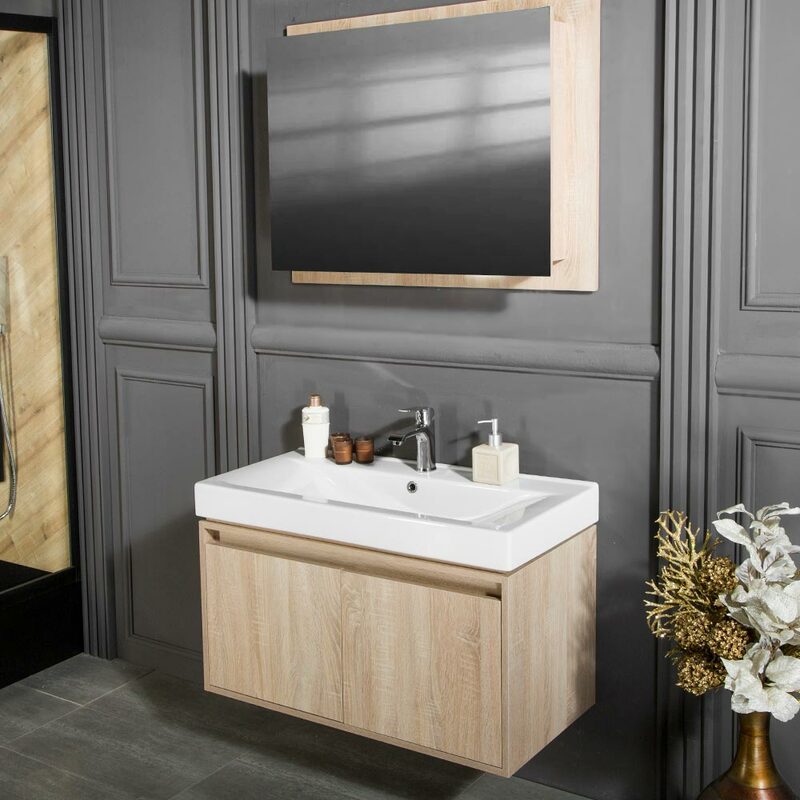 This contemporary European vanity comes pre-assembled with integrated porcelain sink with one hole for faucet installation. The stylish drawer comes with soft closing hinges and gives you a lot of storage space. 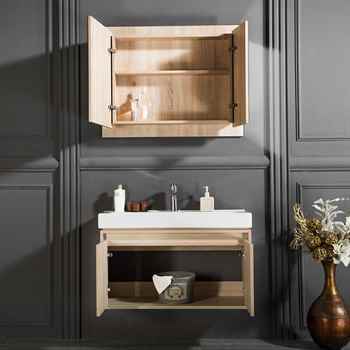 This wall mount vanity is an excellent solution to increase the available space in your bathrooms.